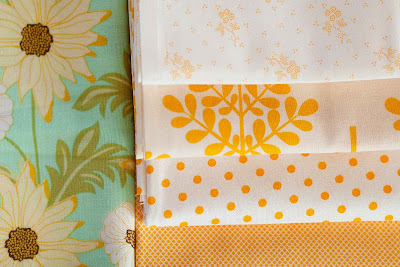 I had a great comment yesterday asking about choosing fabrics. It really got me thinking about why and how I put together yesterday's stack. 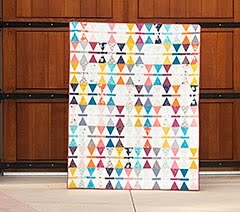 It all started because I wanted to start a quilt for a new baby due in February. The Mama-to-be likes green and yellow. I remembered the daisy print in my stash and thought it was perfect! Its called Daisy Path from Meadowsweet 2 by Sandi Henderson. It has the yellow and green and I love the addition of the aqua. That was my starting point and my color scheme. I headed to my stash. These were from my stash. I was looking for anything that I thought might go with the daisy print. 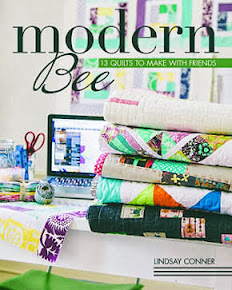 From there I went to an online quilt shop and started searching for coordinates in my chosen colors. I use either the "shop by color category" or the search box depending on the website. 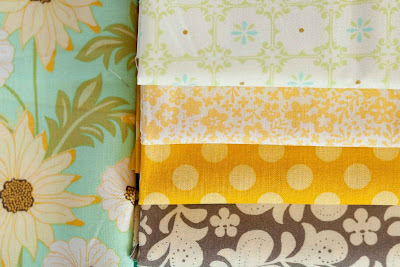 For these, I searched for aqua, lime, green, yellow, mustard, taupe, brown, dot, stripe, etc. I open up a new window or tab for any fabric I have a gut reaction or interest in. I usually have 20-30 open (it drives my Husband nuts!) Then I start eliminating them by closing the window. I'm looking for a variety of scale, shapes and tones. If I have too many dots, I pick my favorite. If it starts to look heavy, I look for one with a lighter background. I wanted a lot of yellow in the quilt. I looked for the deeper mustardy, orangey yellows. I loved the bottom two immediately. 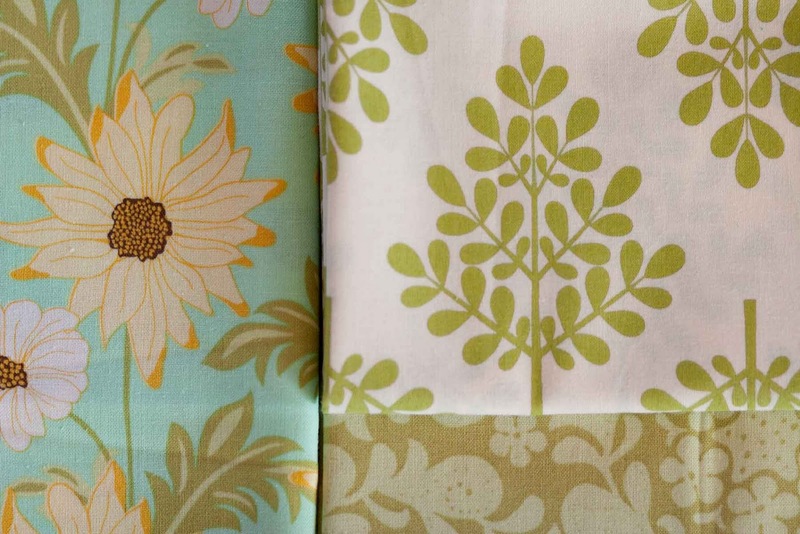 Then I looked for more leafy/organic shapes to compliment the original daisies. Between these four I had a good mix of scale and value. The bottom green was an easy choice, it's also part of the Meadowsweet 2 collection. I knew it would coordinate nicely. I wanted at least one more great green print to add variety to the quilt top. I looked for something that was a looser pattern and overall much lighter. 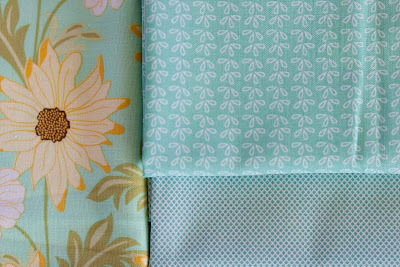 The aqua in the daisy print was such a great grounding color for the yellow and greens, I wanted any fabric I chose to have a similar effect to the quilt top. I purposefully eliminated any lighter aqua prints. 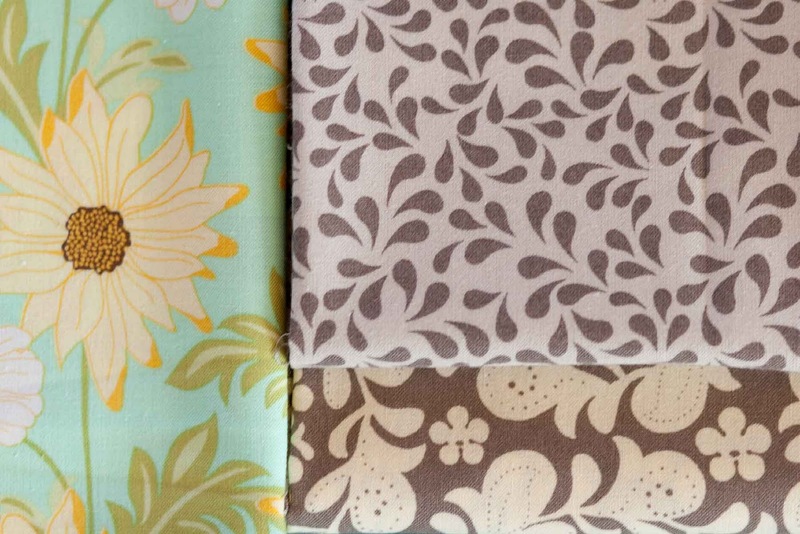 I looked for mid tone and small scale prints. 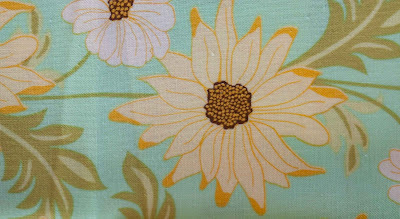 Online, the quilt shop showed me the bottom check when I picked out the same print in yellow. Loved it! Then I went looking for something leafy and organic shaped. I was so excited to find the top right one. I had the brown/taupe print on the bottom in my stash it's called Henna Garden and it's also from Meadowsweet 2. I bought it at the same time as the daisy print. I didn't want it to be the only brown print in the quilt, so I looked for something else to add. This is not an easy color to find. It's a warm brownish gray (which I really like btw!) I chose the top fabric because it was a similar color, it was smaller in scale than the Henna Garden, and it had a lighter background to bring some variety. I rounded out the stack with some complimentary solids. Great post! Very interesting, thanks for sharing your process. Of course, the ones I eliminate just end up in my stash, which is okay too, I guess! Great post! 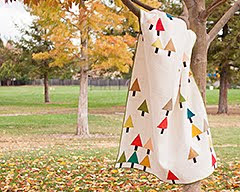 I don't buy too many fabrics online....usually only the fabrics I have seen or love but have a difficult time finding. I usually go through a similiar process although I think it becomes very intuitive...I also try to pay attention to warm and cool colors. 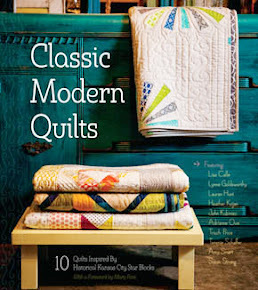 Having both adds so much interest to the quilt! 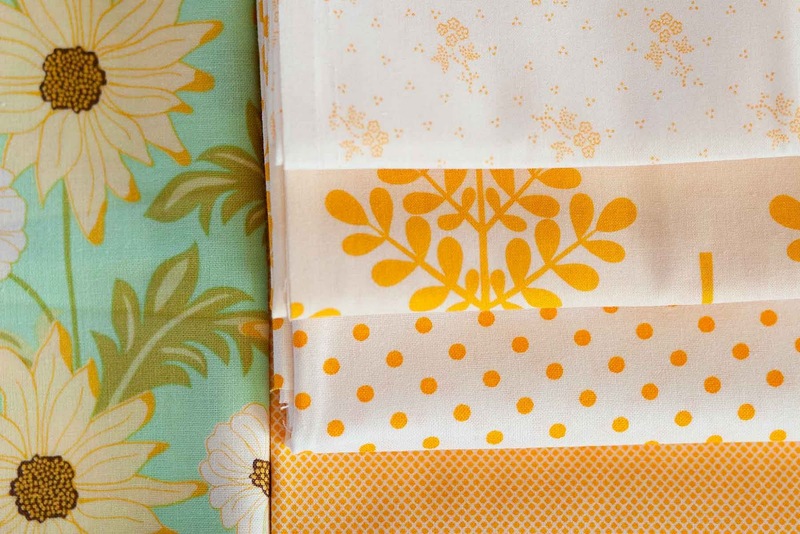 I love the fabrics you showed and that yellow makes the daisy's pop! Thank you so much for such an informative post! I loved seeing your process. What a great post! I love reading through your thought process for picking the colors, the values, and the scale. 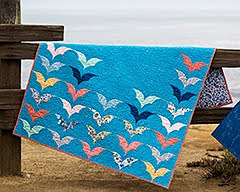 This is quite a methodical approach which is going to make for a fabulous quilt! 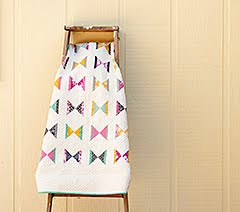 Definitely the way to go when pulling together fabrics. I like to use those "search by color" features too, and I love hearing that you open 20+ tabs to narrow down your choices. It is always great to see how fabric is selected. I need to take a color theory class to help me more! Thanks for sharing. I love that daisy print. Can't wait to see the finished product! 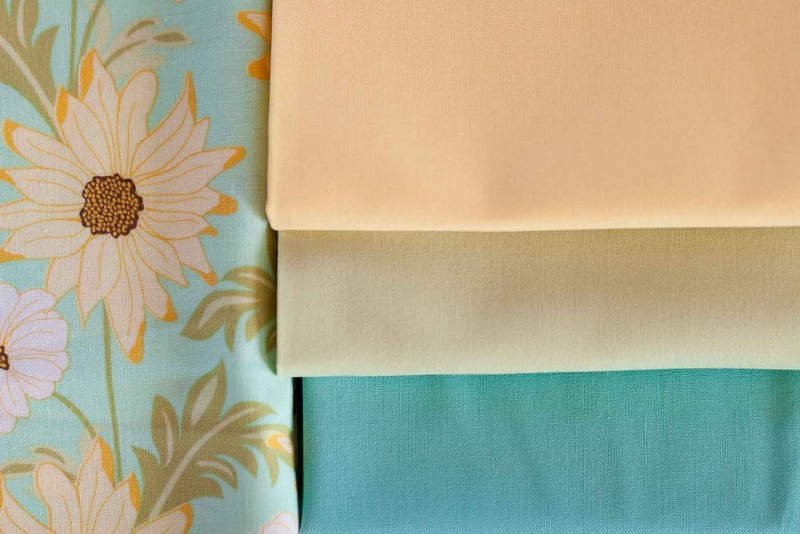 Thanks for the fabric selection discussion! I still struggle with color and value especially.